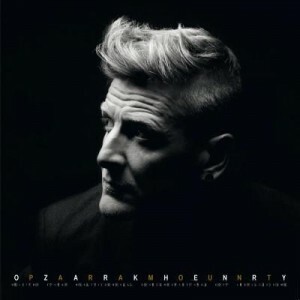 BELGIAN MUSIC PHENOMENOM, OZARK HENRY, TO RELEASE PARAMOUNT IN U.S.
August 21, 2015 (New York, NY) – Belgian Pop/Rock musician Piet Goddaer, better known as Ozark Henry, is poised to release his highly-anticipated album, Paramount, in the U.S. on September 18th (pre-orders beginning August 21st). Since the 1990’s, Ozark Henry has been a strong cultural icon and creative force in Belgium across many mediums including music, cinema, design, fashion and goodwill. As a musician, Henry has released seven platinum albums, three film soundtracks and won 6 Music Industry Awards (the Belgian equivalent of the GRAMMYS). MTV Europe nominated him for ‘Belgian Artist of the Year’ and in 2013, he was the second most downloaded artist in Belgium. In 2014, Henry succeeded Lou Reed as brand ambassador for fashion designer Ann Demeulemeester. Just recently, the United Nations appointed Henry as the Goodwill Ambassador against human trafficking. Henry will play at a UN event in October and is fully dedicated to raise awareness for the cause, connecting with local teams in their fight against this modern form of slavery. TEDx asked Henry to speak about his views on the future of music last May. This fall, Henry will be part of Krug Champagne‘s music pairing initiative. BRUSSELS, March 6 2015: OZARK HENRY has just released his new album ‘PARAMOUNT’ which he recorded with the National Orchestra of Belgium. This collaboration presents a unique and world-class hybrid of pop and classical music. It also marks the first time in their existence that the National Orchestra pays tribute to the repertoire of a non-classical artist. The renowned symphony orchestra asked Ozark Henry to compile an album that reflects his past, present and future. The result is a monumental career overview augmented with 4 brand new songs, all performed with striking arrangements for the orchestra. ‘Paramount’ is also the first Belgian album to be mastered in the best possible audio standard: Auro 9.1. The music was recorded, mixed and ​mastered in three dimensions. This is a world first for a Belgian album release, and the result is a audio experience of the highest order. ISE, Amsterdam, Netherlands, 12 February – The Immersive Sound Experience room at ISE 2015 was packed out yesterday evening for an Auro-3D® premiere of the new album by Ozark Henry. The exclusive preview of Paramount was introduced by Piet Goddaer, the voice of Belgian artist Ozark Henry, and Wilfried Van Baelen, CEO of Auro Technologies and inventor of the Auro-3D® format, at an event hosted by Datasat CEO Ciaran Doran.